Our Golden Ratio design is made completely out of quotations about the connection between math and nature. 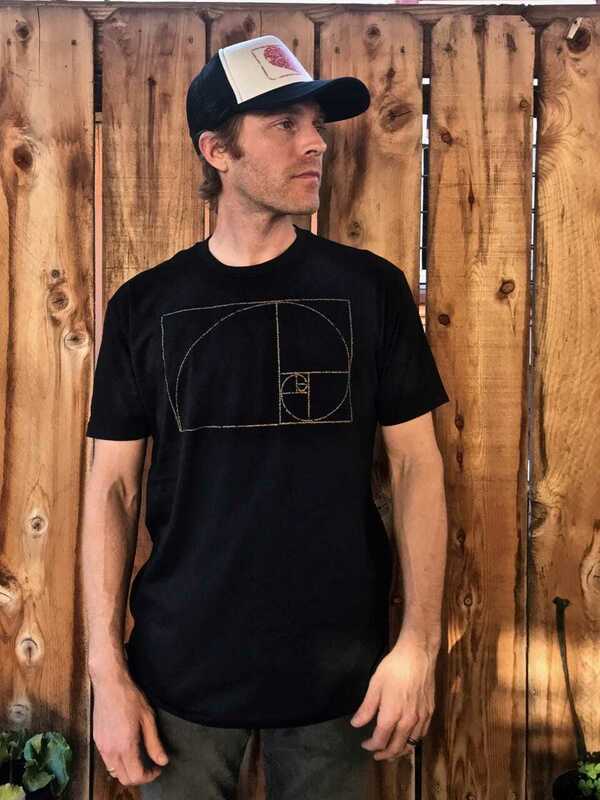 The tiny words work together to create the Golden Spiral and the Golden Rectangles. 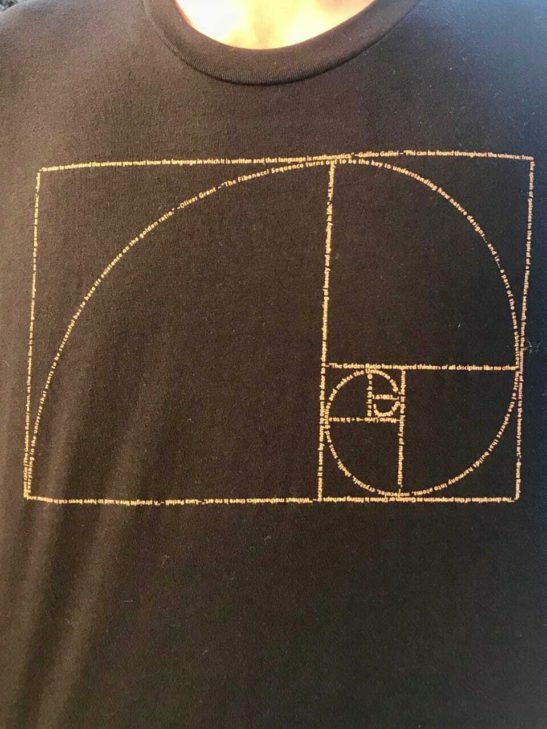 The rate of growth of the curve of the Golden Spiral and the proportions of each Golden Rectangle are equal to the Golden Ratio (also known as Phi and represented by the Greek symbol Φ). 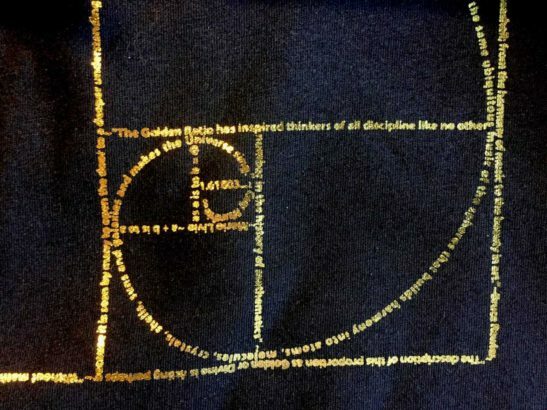 Printed with GOLD FOIL INK!!! It shimmers and shines brilliantly. But it is more delicate than our typical printing. So HAND WASH and HANG DRY.